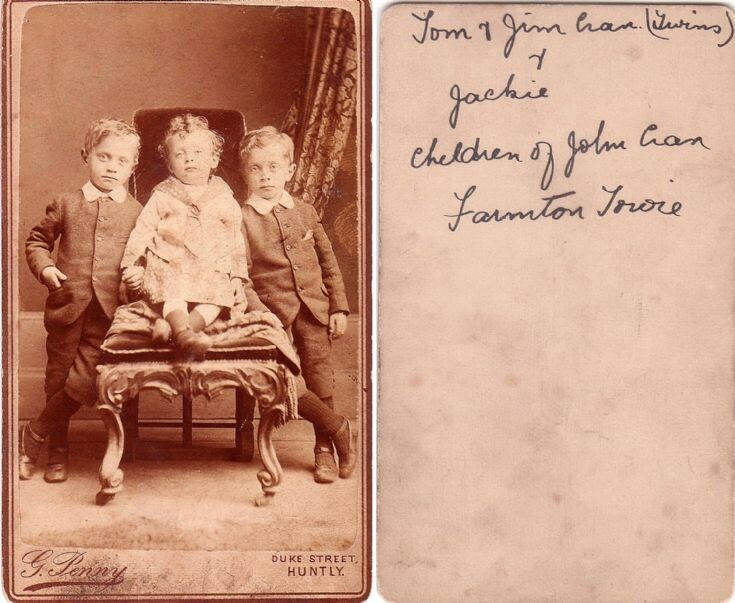 The above picture was provided by Mrs Muriel Wood who is related to the Glenbuchat Inch family. Inch was the maiden name of Grannie Pirie’s (Mary Ann Kellas) mother who was called Jean Inch. If anyone else knows of a connection with the Kellas, Pirie, Inch family please let me know. Cause: Embolism after childbirth, 3 days. As certified by James Reid, surgeon. 1893 22 Aug Age: 4 Death The Mill Pond, Newton, Clatt. Accidental drowning.